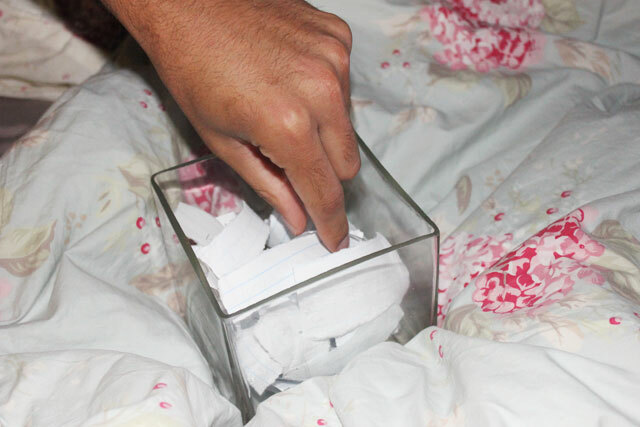 MISH LOVIN' LIFE: The Dizzle picked the winners...Literally. Last night, after dinner and in-between Netflix documentaries, I decided to do things the old fashioned way. 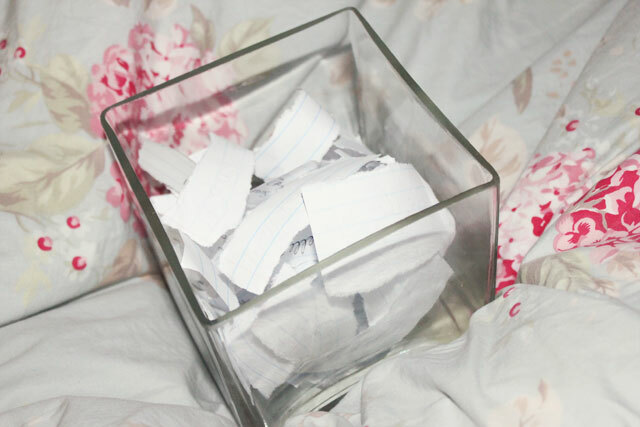 I wrote out all of your entries, ripped them up, threw them in an old vase, and had The Dizzle pick two lucky winners. Aaaannnddd that will be the last time I ever do that. This is why Rafflecopter and Random.org were invented. And this is direct proof that I possibly have too much time on my hands. 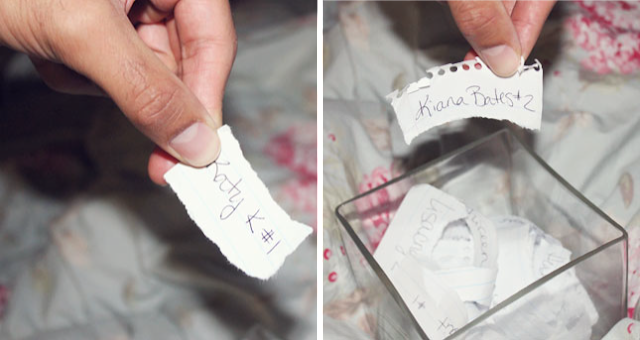 And congrats to Kiana B. for set #2! 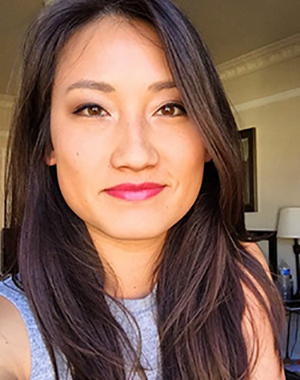 Email me at: michelleelizabethlim@gmail.com with your addresses! How sweet! Congratulations to the winners! Shut it! I'm so excited!!!! 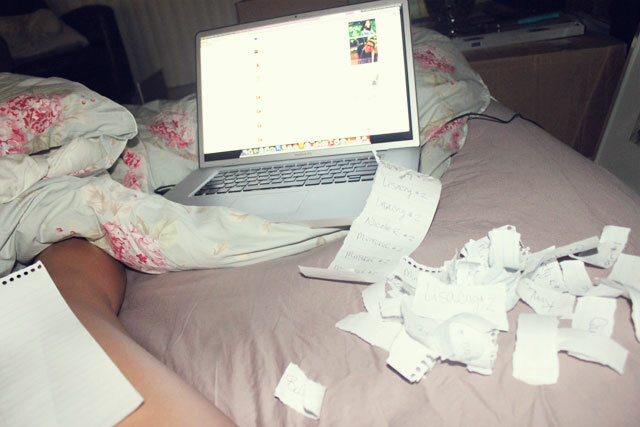 Haha super dig the old skool way. Too legit.